Sometimes a horse can move suddenly when it catches sight of something unexpected in the corner of its eye. 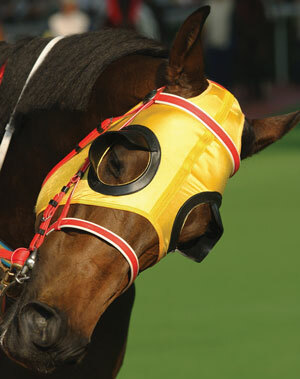 To minimize this problem, owners fit horses with blinkers that restrict the field of vision to stop the horse seeing unwanted distractions. Modern science operates with the blinkers of naturalism—that science can only deal with natural causes; it cannot infer a supernatural cause. Simplistically, evolutionists claim that because we cannot study God—or an unseen intelligent designer—directly, as under a microscope, God is excluded from scientific conclusions. However, science allows an unseen natural intelligent designer to be inferred from the data, such as in forensic science—for example, an unseen intelligent designer was responsible for strychnine in the stomach of the murder victim. Inferring an unseen human intelligent agent is acceptable, but if the evidence demands a super-natural intelligent agent, that is forbidden. The more we understand living things, the more their incredible design speaks of a creative agent far superior to humans. The discovery of fibre-optics in the eye (p. 45 in this issue) underlines this point. The problem for evolutionary materialism is not that the eye is designed, but that it shows far too much design. Because evolution cannot explain the design in the vertebrate eye, evolutionists resort to a theological argument against its design. So Richard Dawkins claims it is badly designed, so ‘god’ must not have done it and natural processes must therefore be responsible (although he really has no idea how). And of course no human could design a better eye. Naturalism stifles scientific thinking. Plant scientist Dr Gina Mohammed (p. 38) says, ‘Many scientists have so internalized the assumptions of evolution that they don’t realize these beliefs are actually limiting the quality and impact of their research.’ Blinkered thinking affected her own research. Keep your family informed on the latest easy-to-understand evidences for creation and against evolution! This unique full-color family magazine gives God the glory, refutes evolution, and gives you the answers to defend your faith. Exciting articles and great witnessing material you won’t find anywhere else! Includes a beautifully illustrated full-color children’s section in every issue. Delivered to your home every three months! Subscribe now! Blinkered thinking affects astronomy as it constrains what explanations are acceptable. If Earth has a special place in the universe, then this solves astronomical mysteries (p. 37), but the materialist cannot allow Earth to be special. Blinkers constrain geological explanations also. Denying the biblical Flood results in incredibly strained interpretations—on how coal formed, for example (p. 48). The blinkers of materialism also have serious social and political effects that have led to the deaths of millions at the hands of tyrants like Stalin (p. 52). 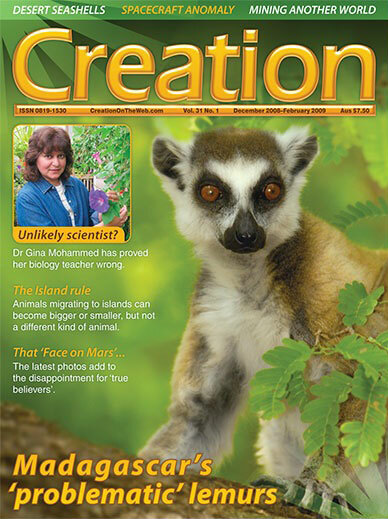 Please share this issue of Creation with someone who needs blinkers removed. Billions and billions of demons, The New York Review, 9 January 1997, p. 31. Return to text. Lewis, C.S., Is Theology Poetry? in The Weight of Glory, HarperCollins, New York, p. 136, 2001 (published posthumously). Return to text.